Linga Longa with outstanding sea views of Polzeath Bay and the Atlantic Ocean is conveniently situated within 2 minutes of the shops, pubs, restaurants, sandy/surfing beach and coastal footpaths to Daymer Bay, Rock and The Rumps. Recently fully refurbished, to a high level of decor, with excellent attention to detail. The open plan ground floor has large picture windows providing magnificent views of the beach and the sea. Sleeps 4, Fitted kitchen, lounge/diner, 2 double bedrooms (1 with sea views across the bay to Pentire Point.) 1 single bedroom, 2 showers/wc rooms, Parking for 2 cars, Front garden overlooks Polzeath Bay, equipped with garden furniture. Secluded rear patio with a warm outdoor shower. Conservatory. Far reaching sea views from the balcony and the front of the property. 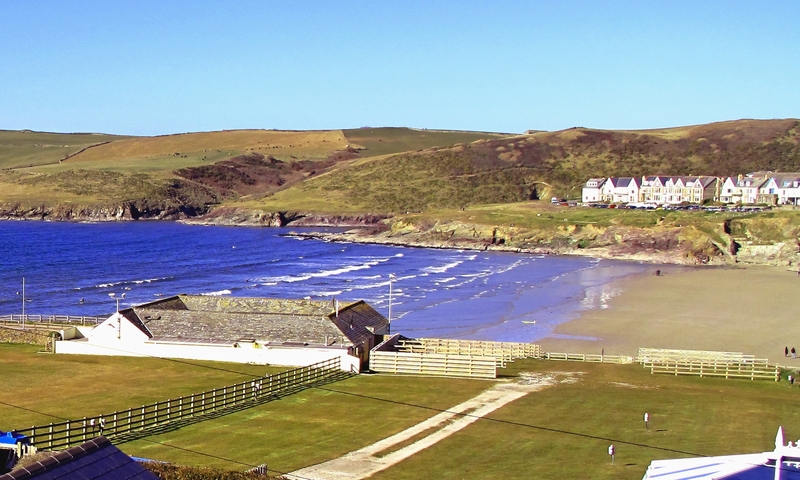 Polzeath Beach on the North Cornish Coast is known as one of the safest and most magnificent surfing beaches in the country. The golden sands stretch one mile at low tide with the surfers still enjoying the challenge of the Atlantic Rollers. Nearby,varied water sports include sailing,water skiing,canoeing,windsurfing and fishing. Golf is at the renowned St Enodoc course located at Rock and the inland course Roserrow approx:one mile. The Camel Trail, a must for cyclists, runs alongside the estuary. Bikes to suit all ages can be hired locally.